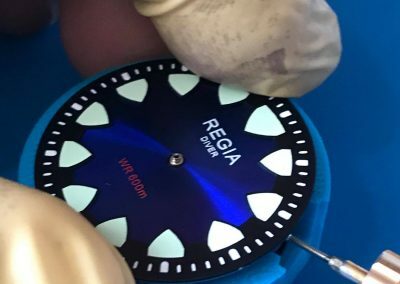 REGIA Timepieces is no newcomer in the microbrand world. 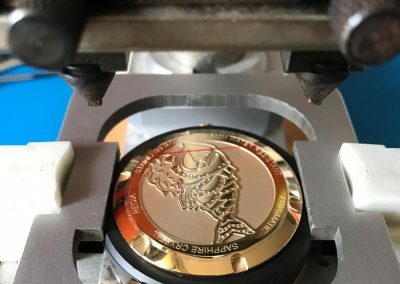 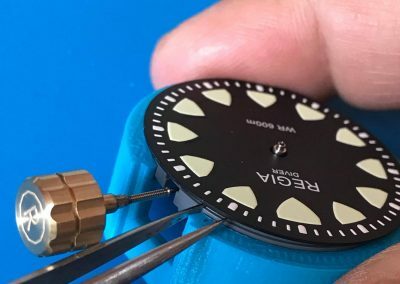 They have produced quite a few models with the most recent Armour Fish, and collaboration with artist such as Timothy John for hand-painted dials on a few models. 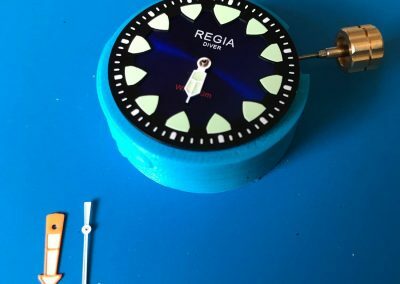 We covered both previously and in today’s writeup, we would be covering the fact that REGIA offers custom modifications as well to their existing models. 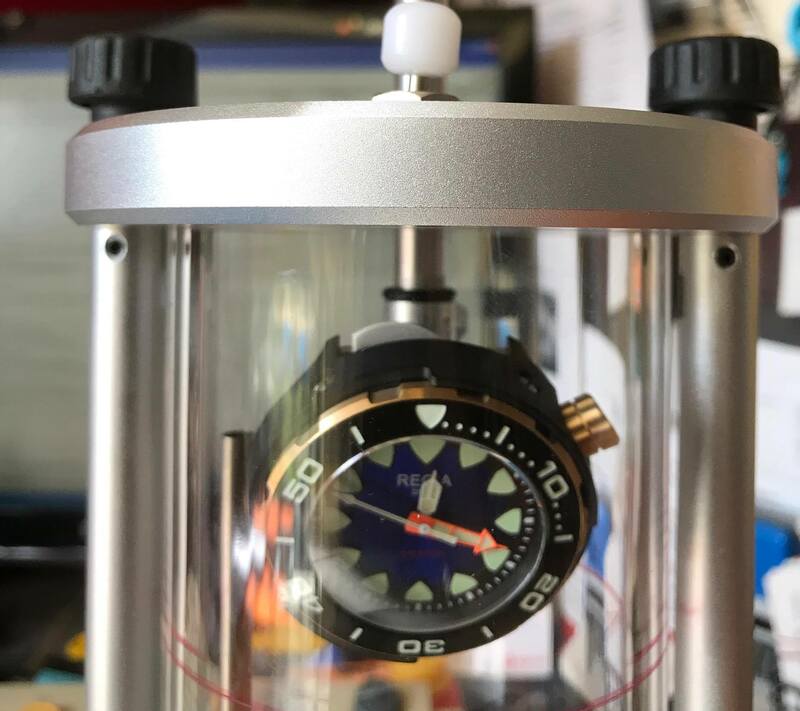 I had the opportunity to meet up with the owner, Mr. William and he briefly showed and explained the whole process of replacing the hands, glass as well as the dial. 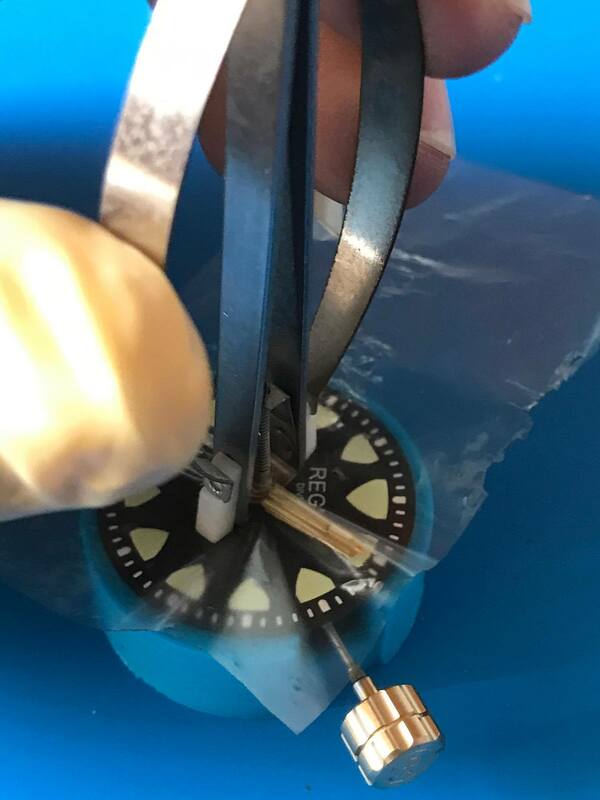 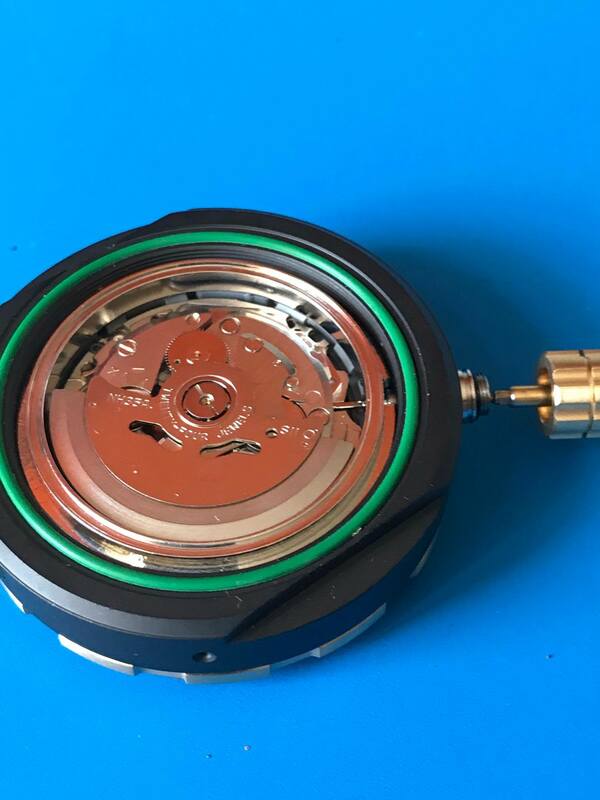 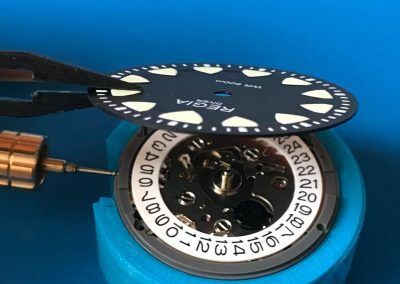 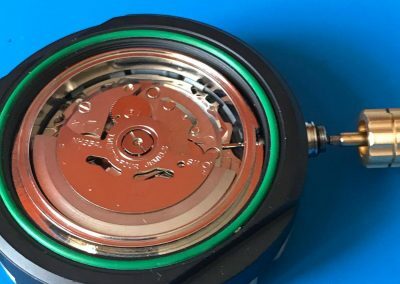 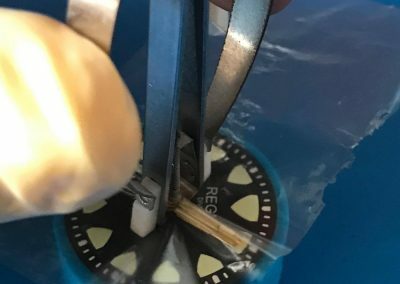 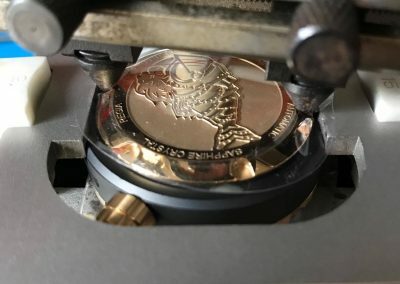 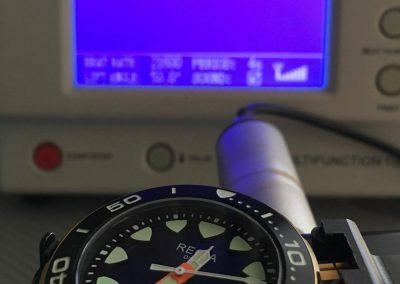 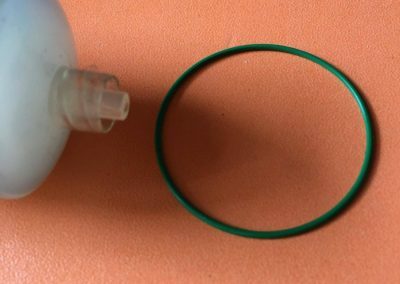 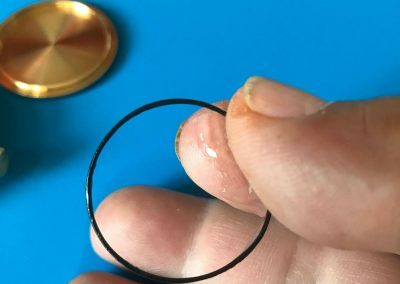 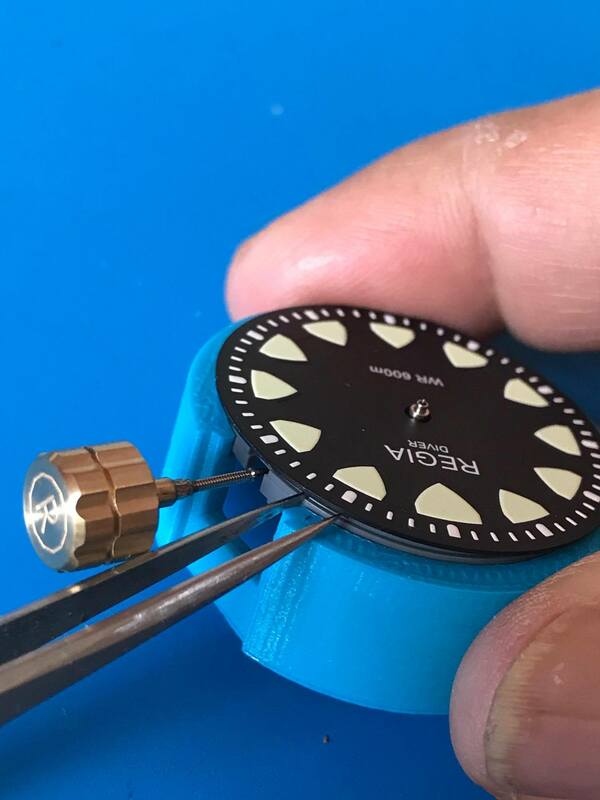 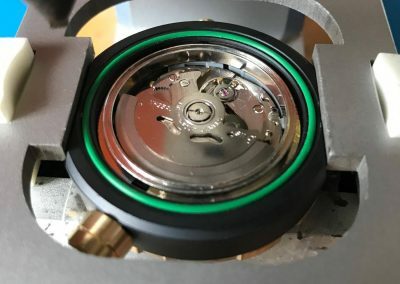 This writeup would benefit readers to understand the complexity of a simple parts replacement or modification on any watches. 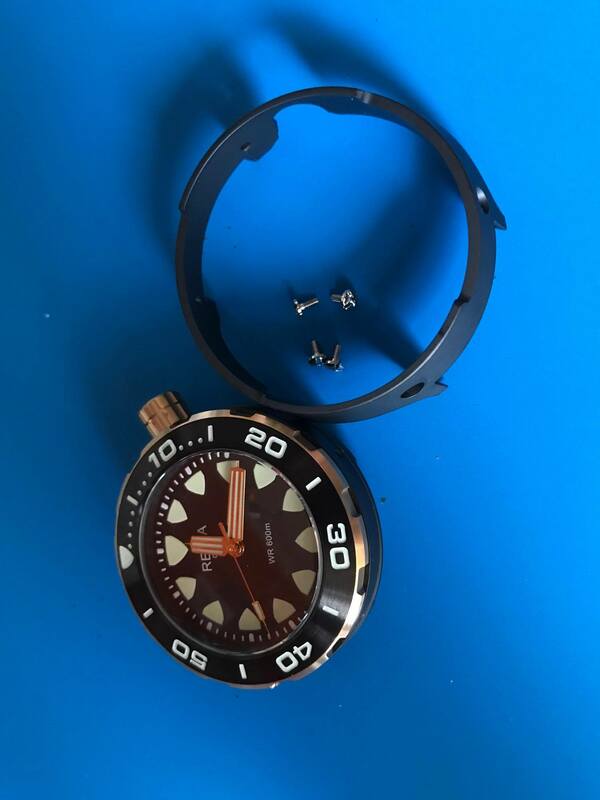 So, we begun by removing the straps from the case… DUHHHhhhh… we don’t want any obstruction right ? 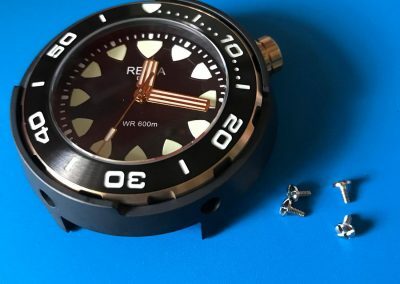 So next is to remove the spring bar and shroud. 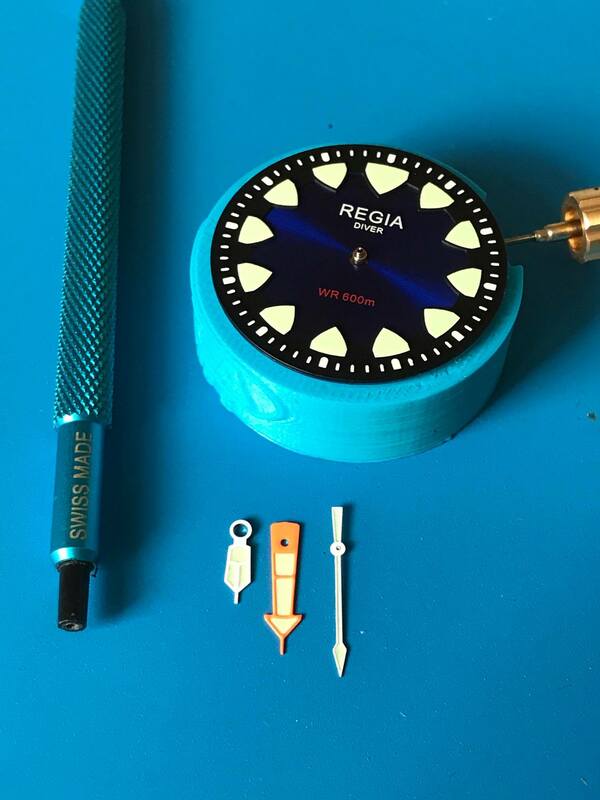 Those are pretty easy peasy steps. 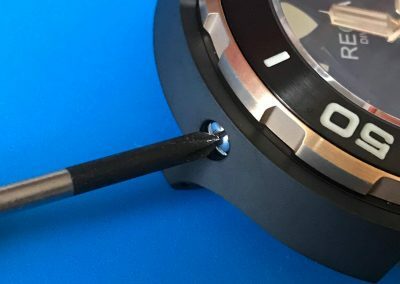 As you can see, the spring bar and shroud removed. 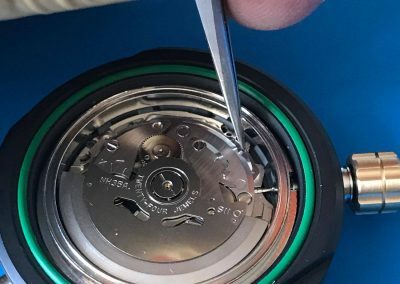 Next would be removing the case back. 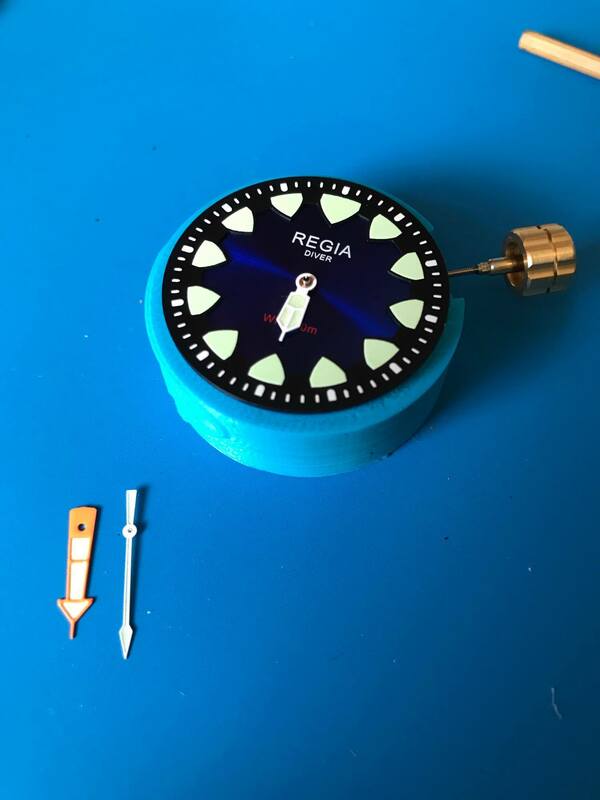 Yes, you will need a special tool to do that as you can’t open it with the standard screwdriver. 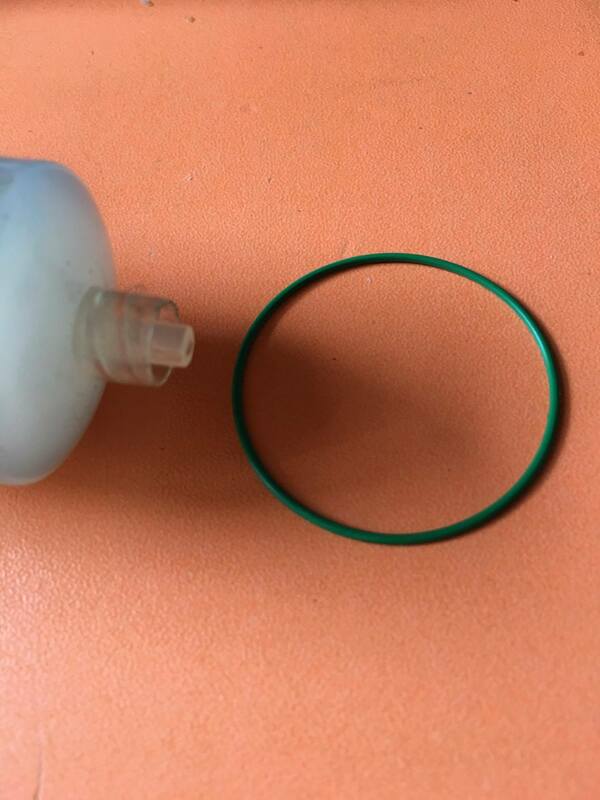 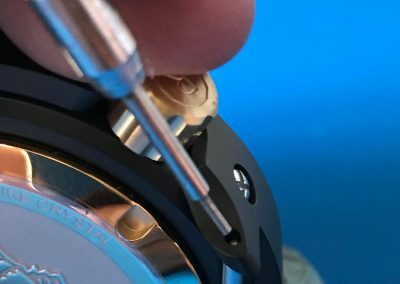 Once the case back is remove, you’ll need to delicately remove the stem and the crown. 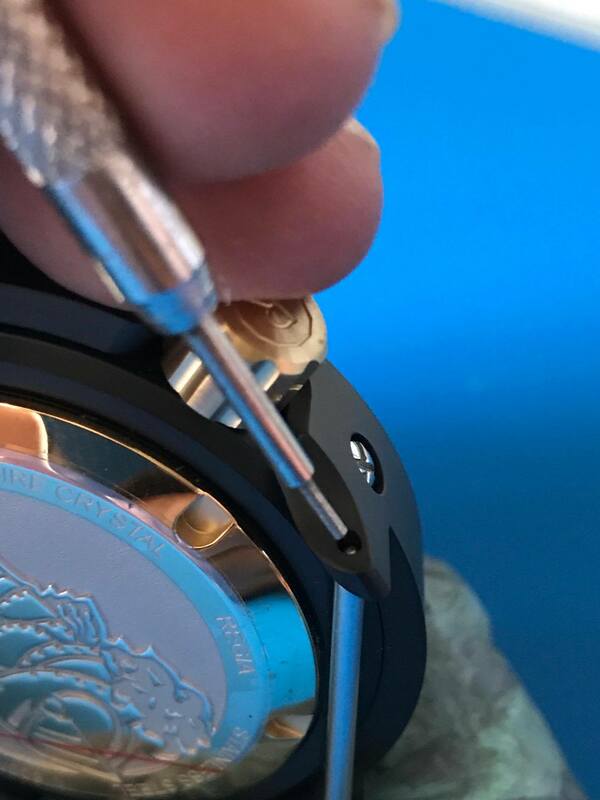 As you can see from the photos below, this kinda task requires very steady fingers and strong eye-sight ! 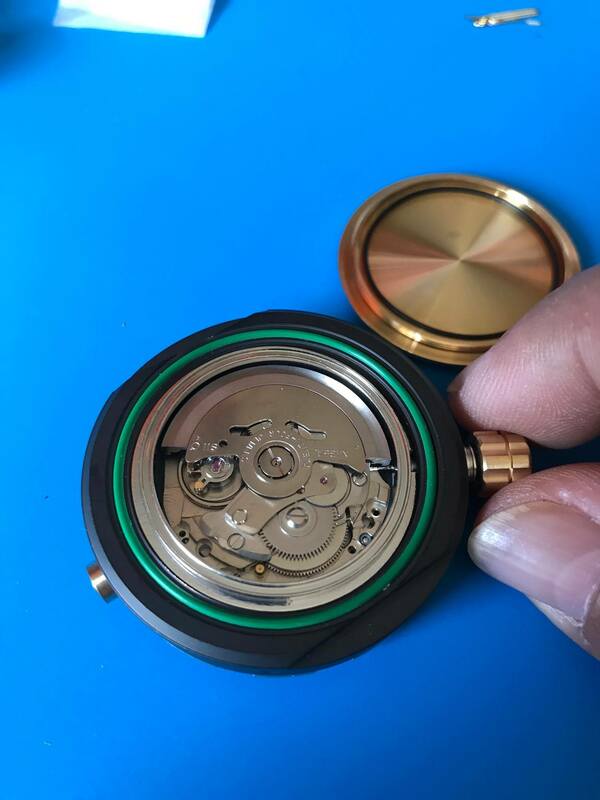 Once that is removed, the movement can be easily detached from the case. 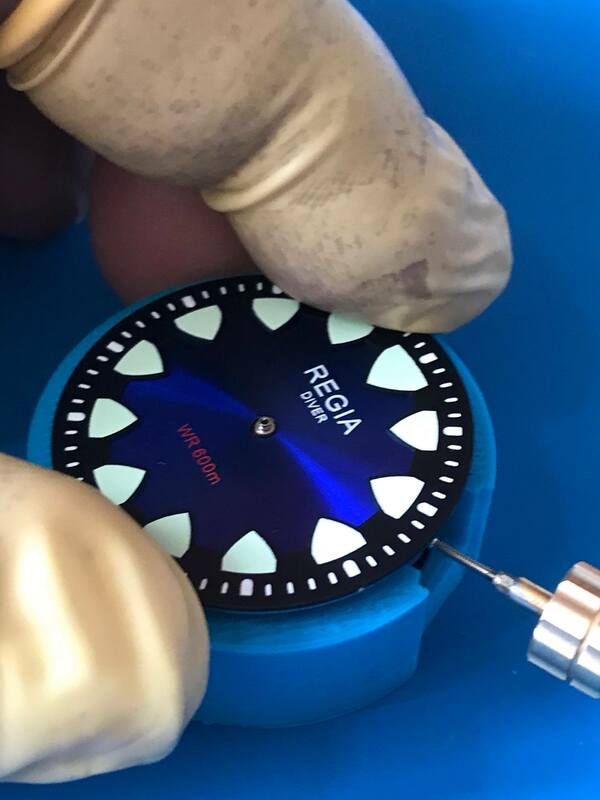 From there, the hands and dial can be swapped to the available choices and I chose the latest sunburst blue dial and one of those large diver hands which would compliment the overall watch theme. 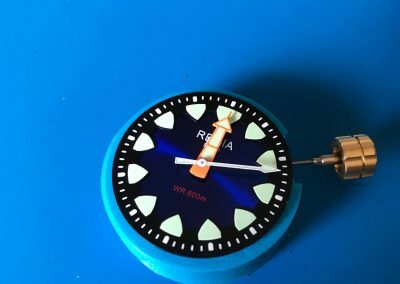 Once the dial and hands are replaced, then the installation is merely a reverse of how the uninstall process was earlier. 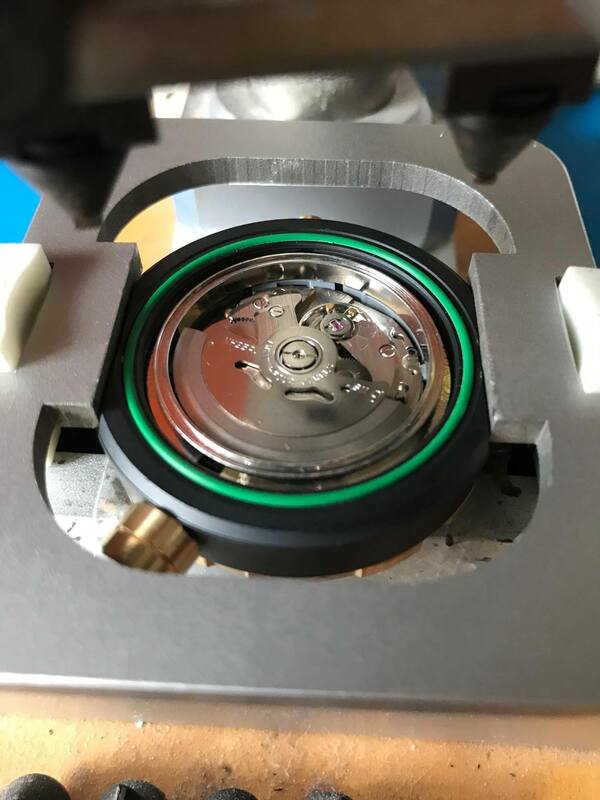 Once every parts is installed and properly secured, next is relube the gaskets, re-regulate and test water resistance to ensure no water leakage into the case. 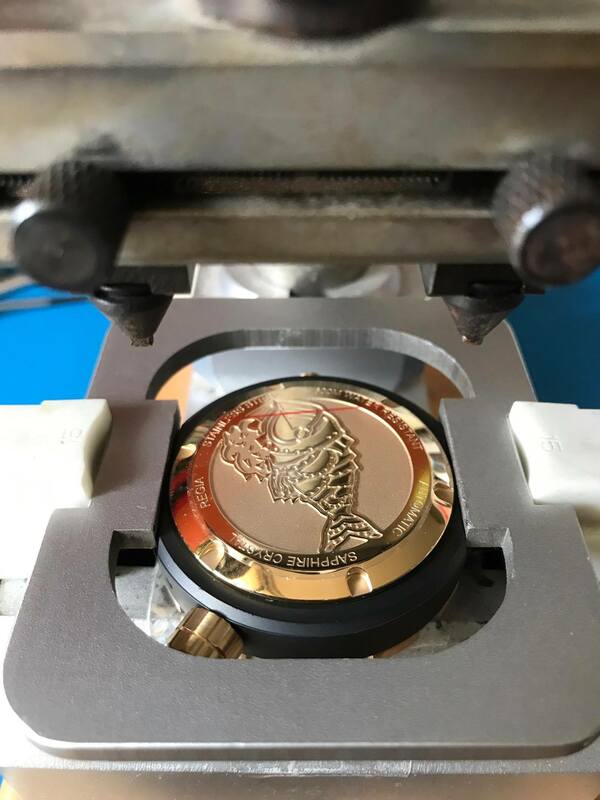 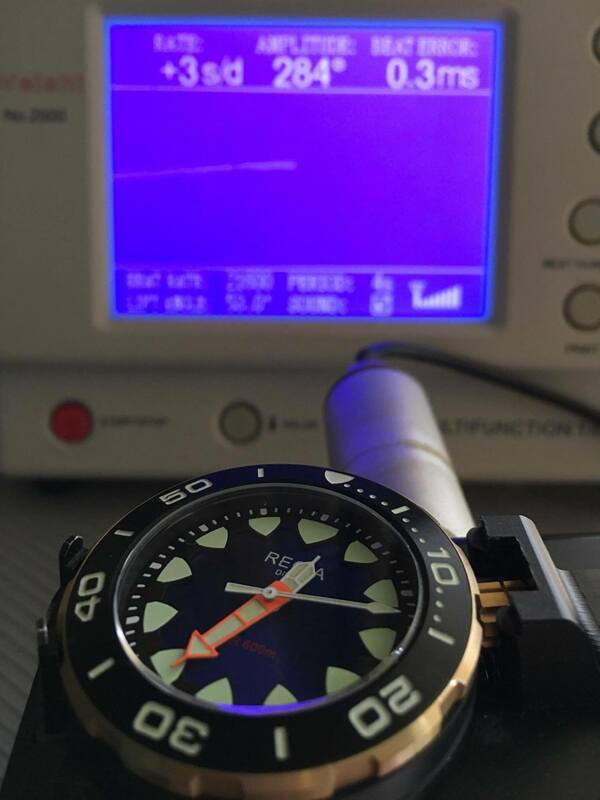 Once everything have been verified okie dokie… then the watch is finally ready to be worn on the wrist and enjoy the new experience with the customized version of Armour Fish. 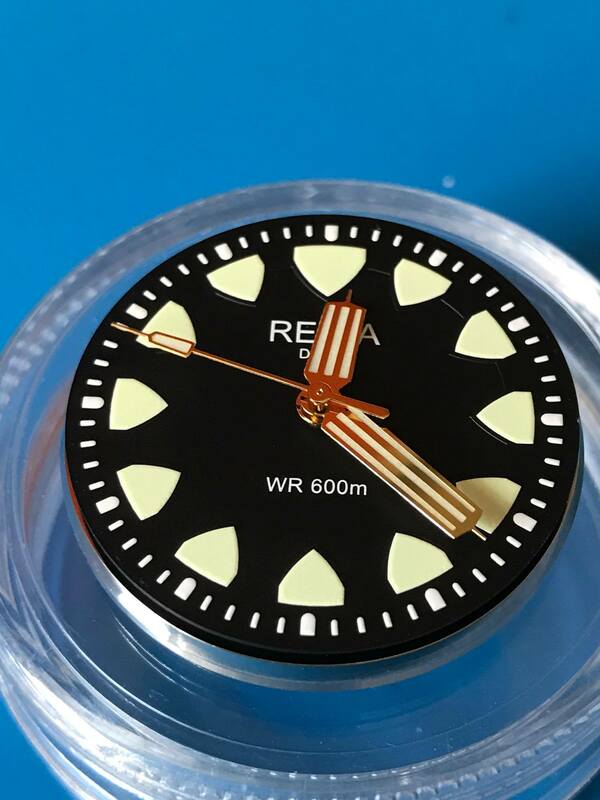 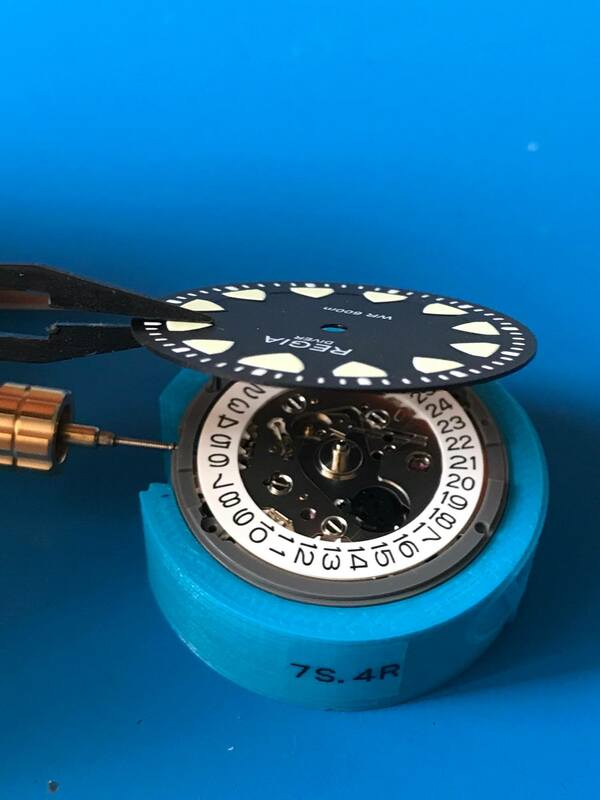 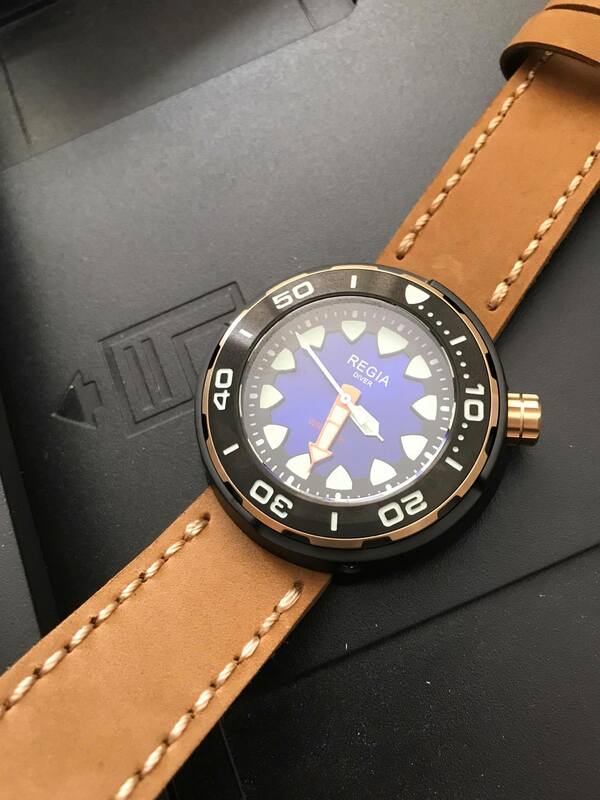 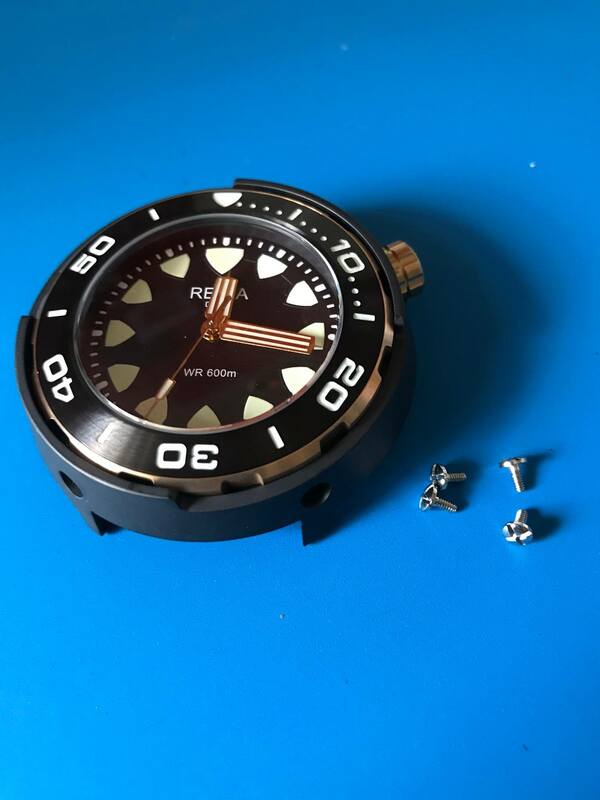 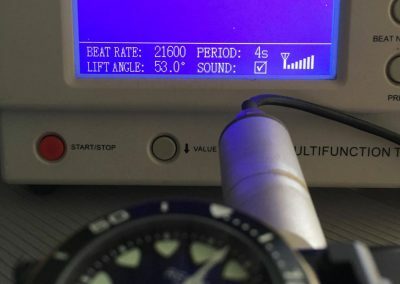 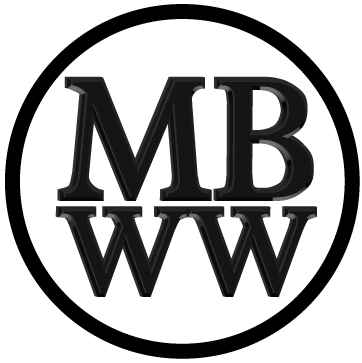 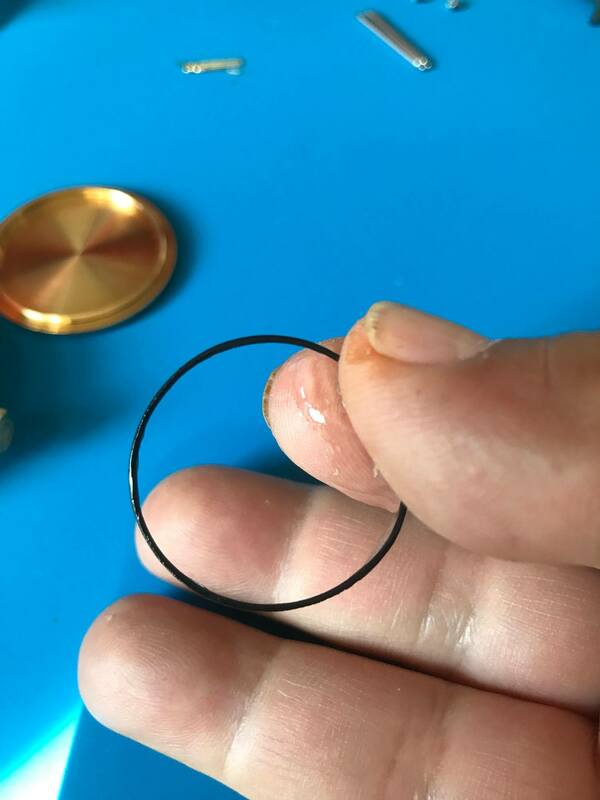 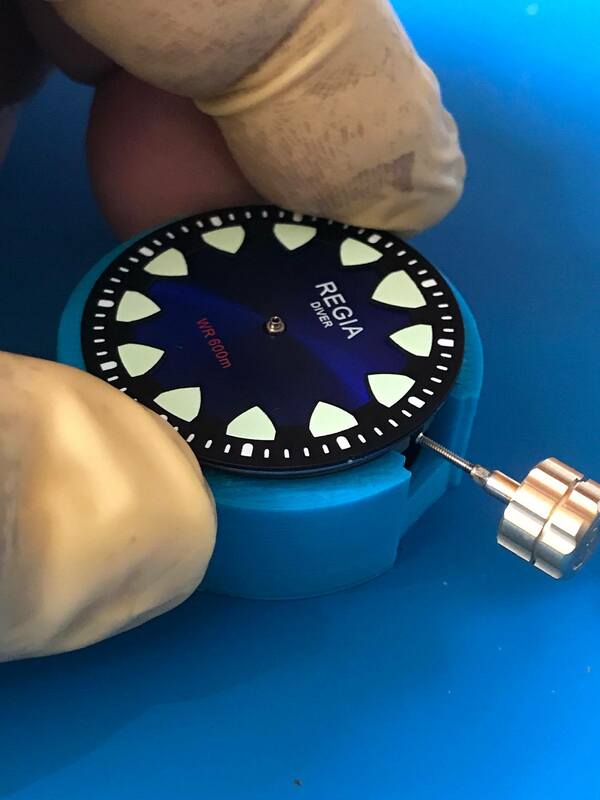 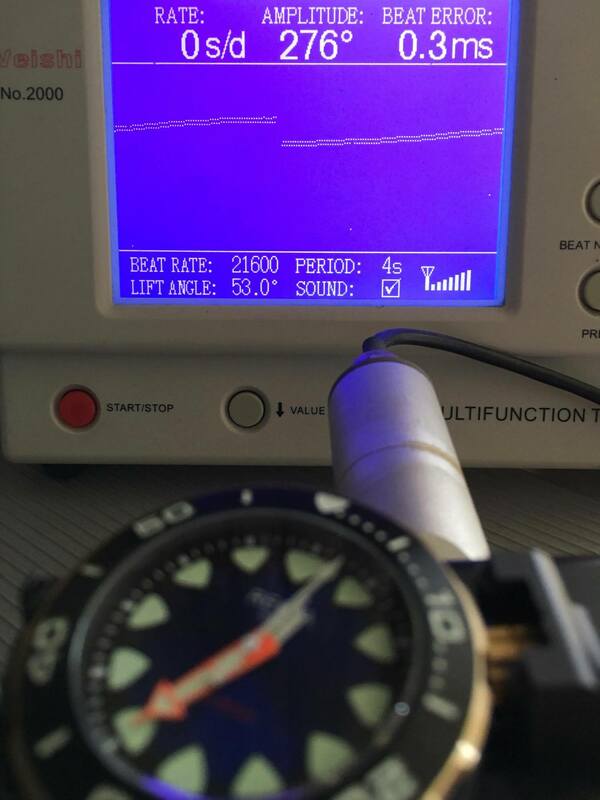 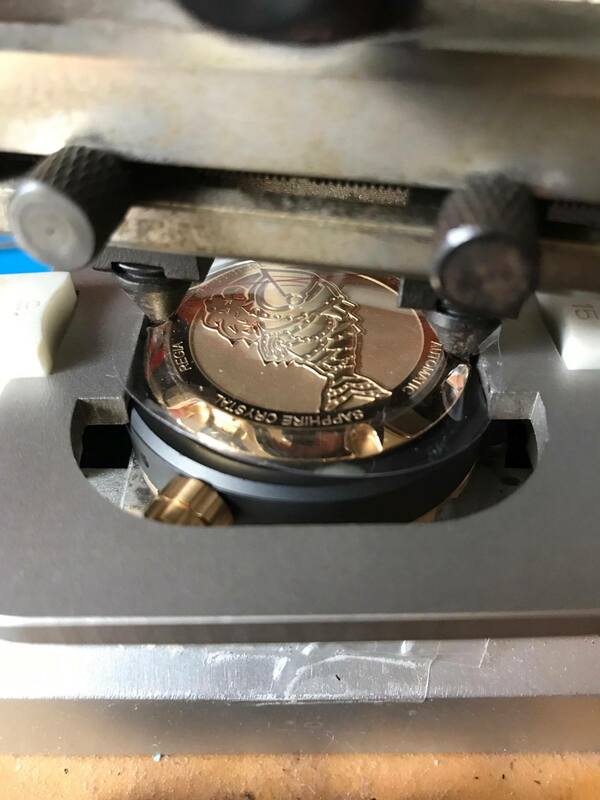 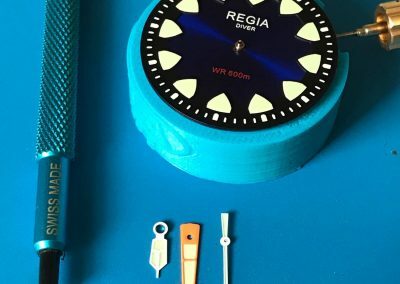 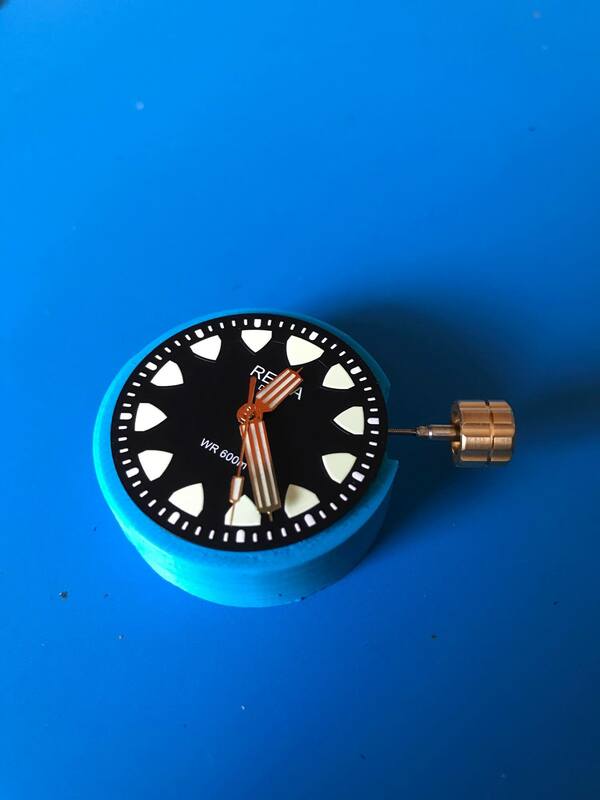 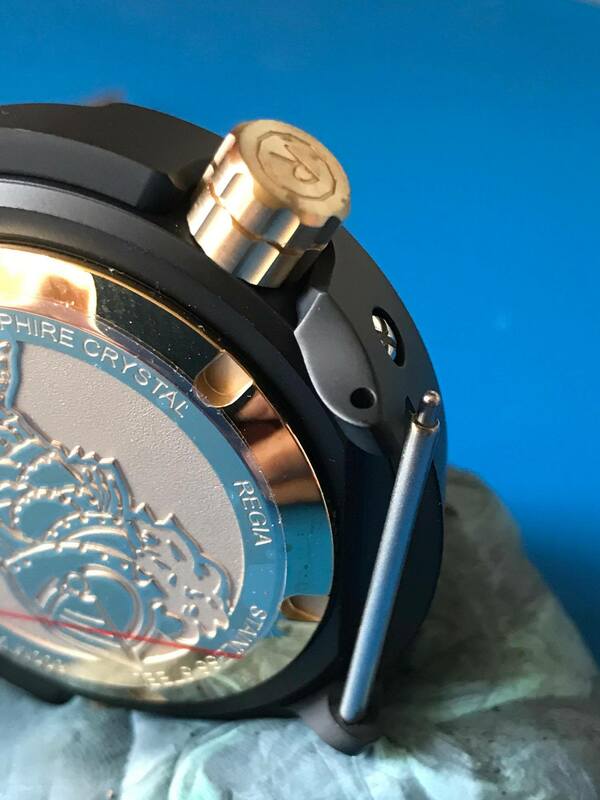 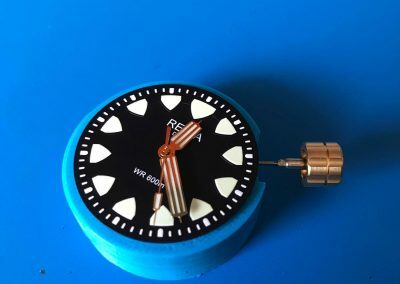 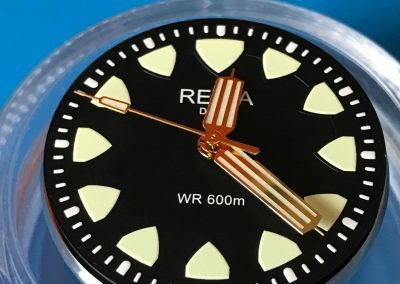 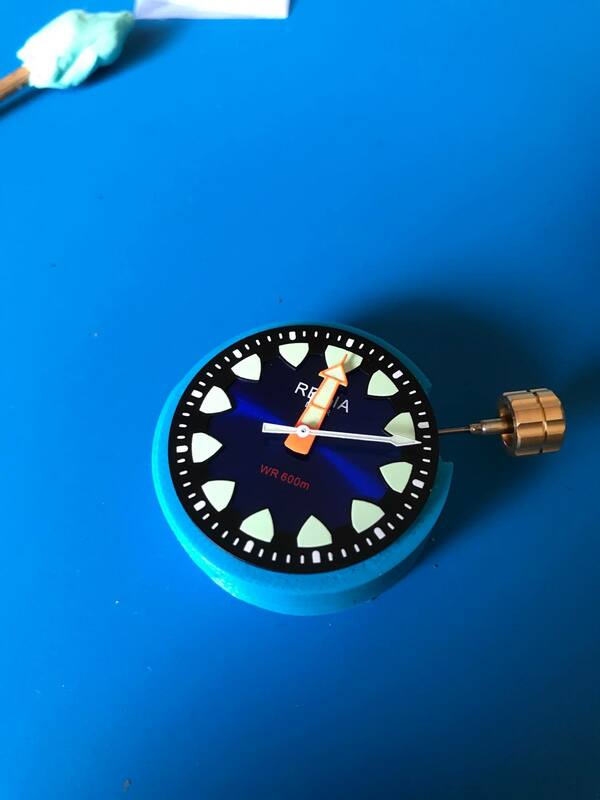 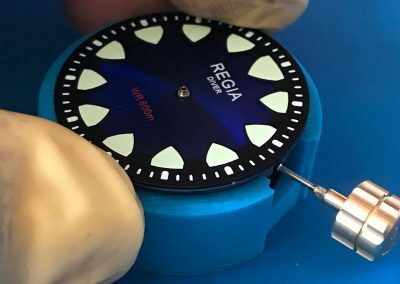 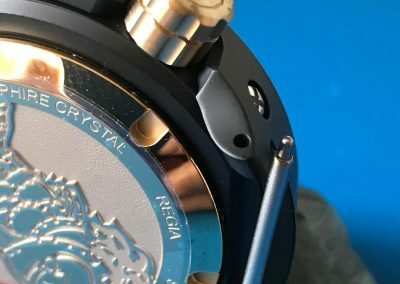 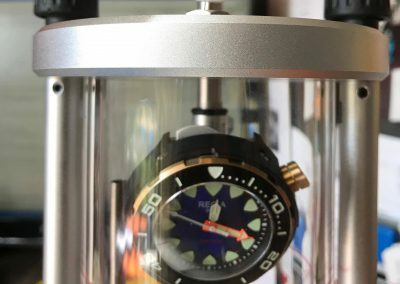 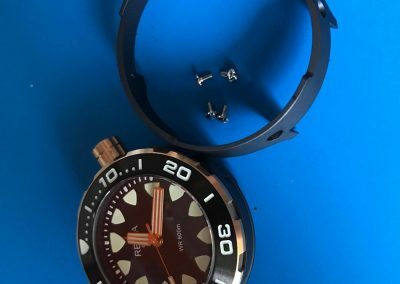 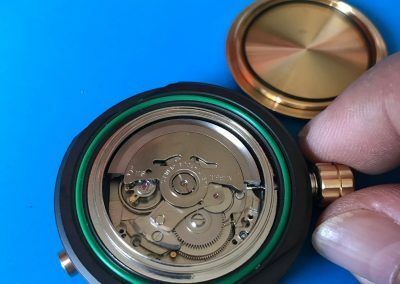 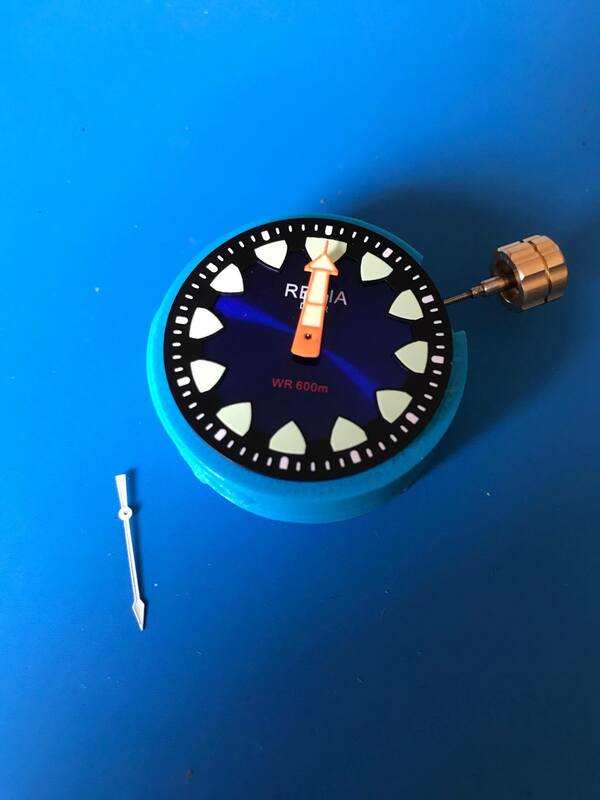 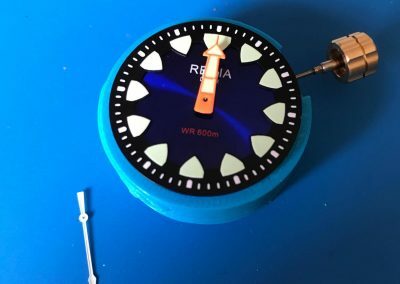 We do hope you enjoy this simple writeup about parts modification and thank you to Mr. William from REGIA Timepiece to share his time and knowledge with me. 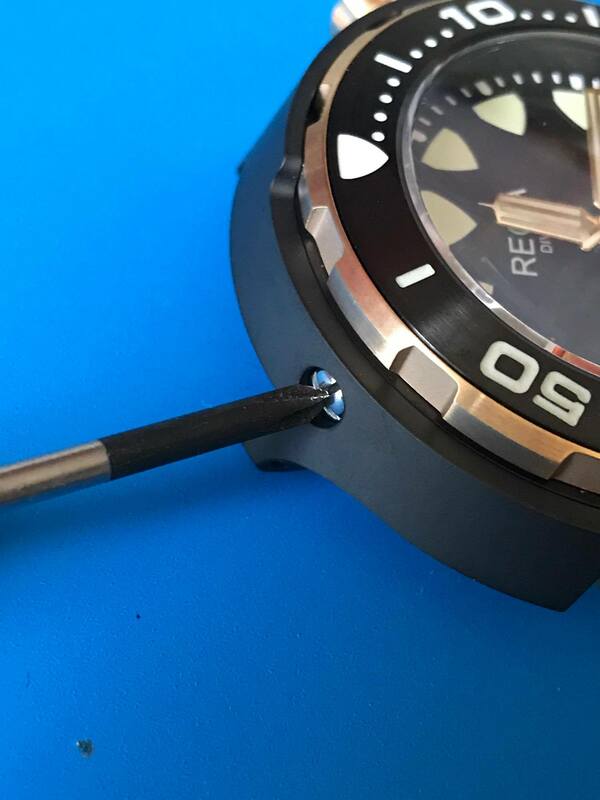 Durability = So far, so good. 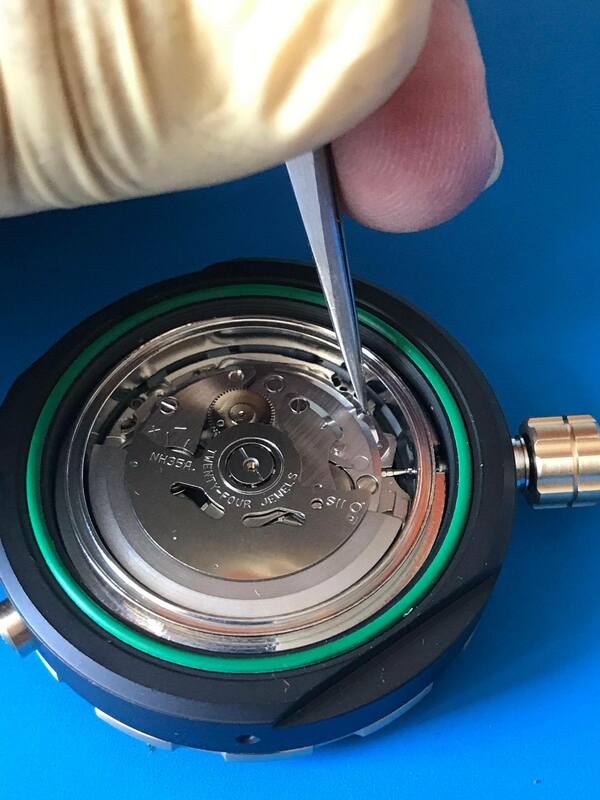 Accuracy = I’m no expert on this, but seiko NH35 movement are solid and reliable.